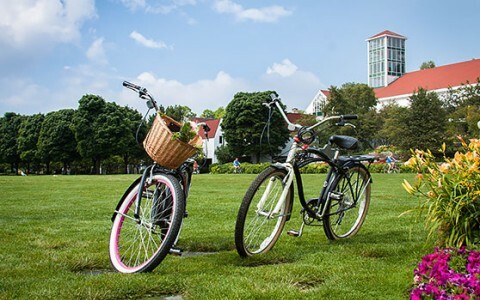 The best way to explore the beauty of Mackinac Island is by bicycle. Mission Point offers single speed, multi-speed, and tandem bike rentals by the hour or by the day. Rentals are on a first come-first served basis and can be picked up across from Lakeside Spa & Salon. 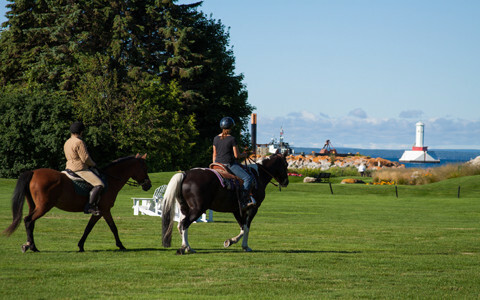 Maintained and run by the Mackinac Horsemen's Association (MHA), the Mackinac Community Equestrian Center is nestled away on a beautiful 3.5 acre site on the north side of Mackinac Island, across from historic Wawashkamo Golf Course. MHA offers horseback riding lessons for individuals and groups of all skill levels, facilities the Mackinac Island 4-H club and hosts multiple horse camps throughout the season. Led by our resident horticulturist, our complimentary Garden Tours are scheduled Saturdays at 2:30 pm and Wednesdays at 5:30 pm. 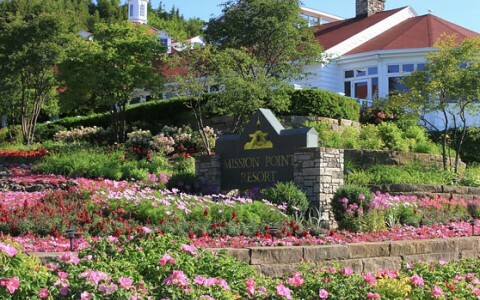 These leisurely walking tours offer an opportunity to explore the gardens of Mission Point, learn about our unique climate and the resort's green gardening practices. 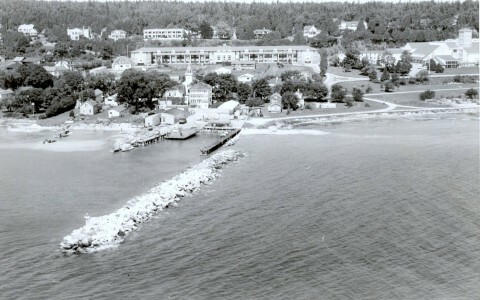 Would you like to know more about the history of Mission Point Resort and the eastern side of Mackinac Island? We invite you to join our own resort historian on a complimentary guided walking tour of the resort and Mission Hill on Thursdays at 10:00 am. 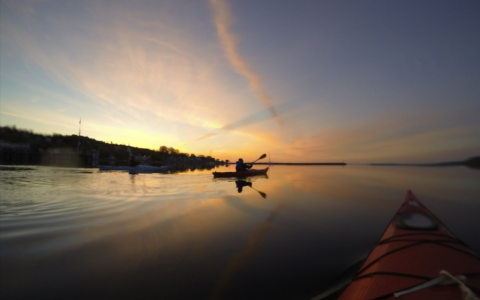 Mission Point partners with Great Turtle Kayak Tours to provide an on-water Mackinac experience. Enjoy a kayak tour around the sunrise side of Mackinac Island, visiting Arch Rock from the water. Custom itineraries (as well as on-the-water yoga) are also available. Our 18-hole putting course, the Greens of Mackinac, offers a truly unique putting experience with 18 real bentgrass greens that rival any championship course. Don't forget to stop by the bar at Bistro on The Greens for a to-go cocktail to enjoy during your round. 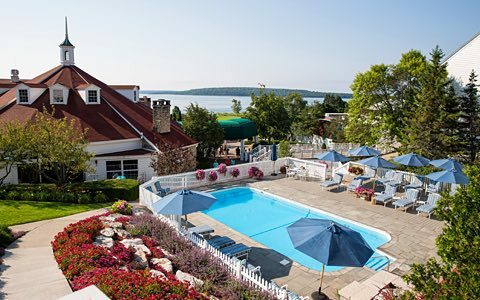 Transport yourself back in time to the early years of golf at Mackinac Island's Wawashkamo Golf Club, located a half-hour carriage ride from Mission Point. This historic par 72 golf course, built in 1898, was designed to the standards of the great old courses in the birthplace of golf, Scotland. Mission Point guests receive complimentary golf carts, rental clubs if needed, and preferred tee-times. Experience a piece of Hollywood history at our historic movie theater, which was the setting for ‘Somewhere in Time’ starring Christopher Reeve. On Sundays in July and August, catch a film under the stars on the Great Lawn - a truly a magical experience on Mackinac Island. More films will be featured on Sundays and Tuesdays sponsored by the Mackinac Island Arts Council. Looking to take in a workout during your vacation? 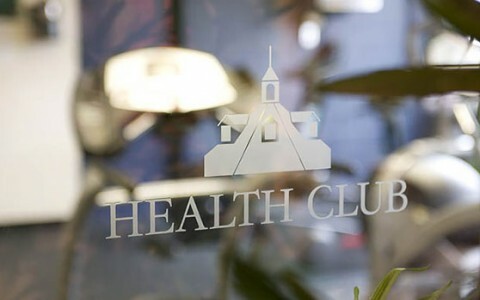 Our workout facility, located adjacent to Lakeside Spa & Salon, is complimentary to all overnight guests of Mission Point. Equipment includes free weights, weight machines, bikes, treadmills, punching bag, floor-mats, and more. 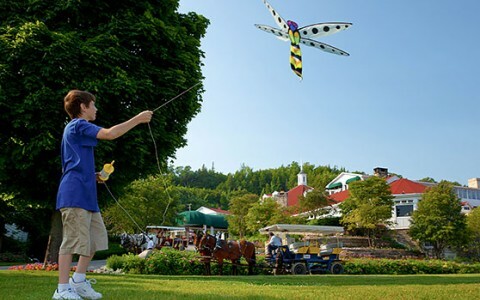 Our youngest guests love our complimentary Mackinac Island Kid's Club! Under the guidance of our trained staff, children aged five to 12 gather to learn classic games that their parents and grandparents played while growing up. Reservations required. Open daily, 2:00 - 5:00 pm. Please schedule Kid's Club reservations 24 hours in advance. This service is exclusive to Mission Point guests only. 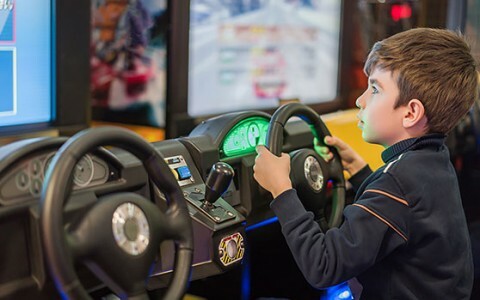 Perfect for a rainy day or to expand a bit of energy before bedtime, kids can enjoy a selection of classic arcade and video games at Admiral Dave's Arcade, located across from Lakeside Spa & Salon and adjacent to the Kid's Club. Open daily, a change machine is also available. Closed for the 2018 season - see you next year! Open daily, our outdoor pool complex features a pool and hot tubs with pool lounge chairs. Changing rooms and pool towels are also available. Barbecues and special occasions are hosted at the pool deck throughout the summer. The pool complex is closed during inclement weather. 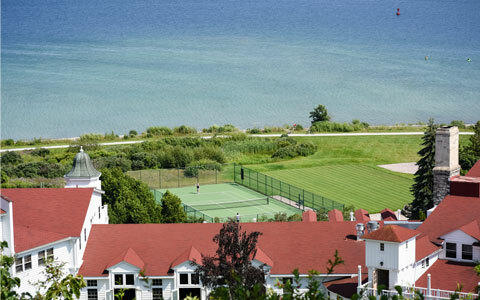 Overlooking Lake Huron, our tennis court is available to guests on a first come-first served basis. Rental equipment, including racquets and balls, available is at the Garden Gate Gift Shop. Rental equipment is complimentary to Mission Point guests. 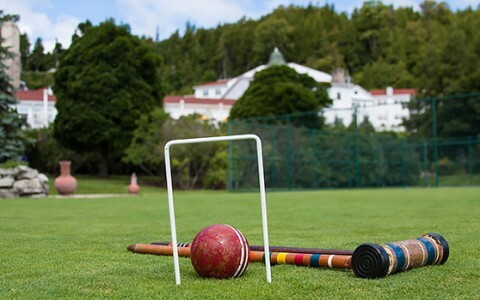 Take a step back to yesteryear and try your hand at a classic lawn game on our professionally manicured croquet and bocce ball lawn. 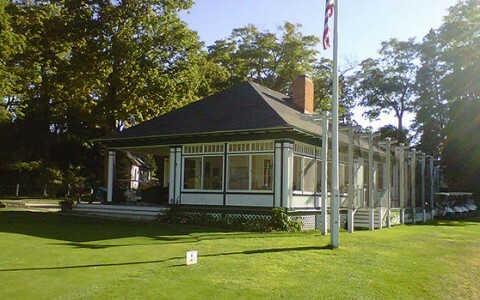 The lawn, adjacent to our tennis court, overlooks Lake Huron and the Straits. 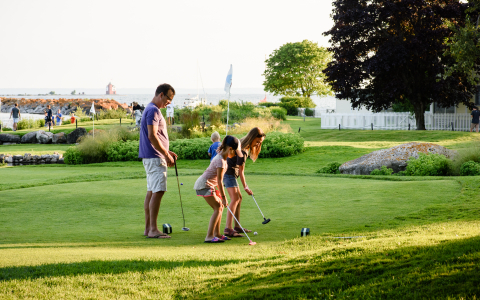 Guests enjoy complimentary equipment and play is on a first come-first served basis. 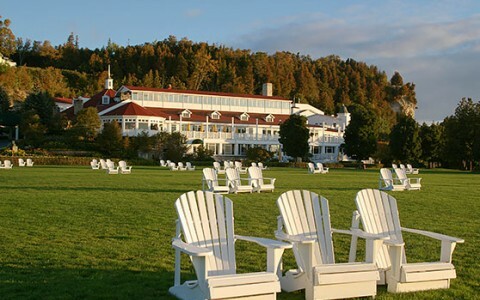 Overlooking both Lake Huron and the Straits, the Great Lawn is a favorite place to lounge on Adirondack chairs, fly a kite or take a romantic stroll along the waterfront. Enjoy delicious treats from Boxwood Coffeeshop and Cafe, just off the lawn or let them arrange a romantic picnic basket for you to enjoy.